Cache cleaning did not solved the issue. I went to the profile page. As you cab see it is an American date format. 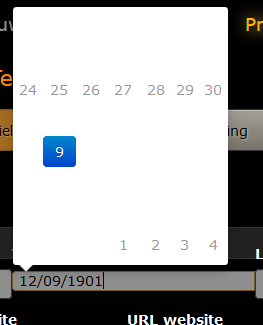 And when I will change the Birthday I see this popup box. That is not easy to read. How can I change that layout and colors so it will be better to read? 5 months 5 days ago	#978 by Eugene S.
I separated this topic from another one. Well, I have examined your site and drop-down menu CSS styles make a mess. 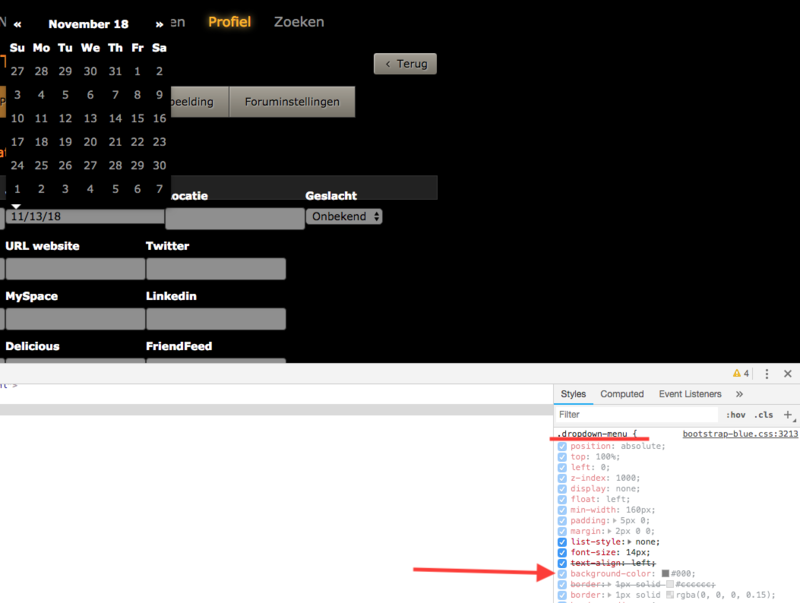 I changed color from #ffffff (white) to #000000 (black) and calendar element looks fine. Thanks, that was simply fixed by changing the css.